Big-Ton D and Big-Ton T Upthrust Constants | Piping Technology & Products, Inc.
PT&P custom designed and built four Big Ton D Upthrust Constants(figure 1) and two pairs of Big Ton T Upthrust Constants (figure 2) for a global engineering & construction company. These upthrust constants are installed at a Petrochemical Plant in Siberia. 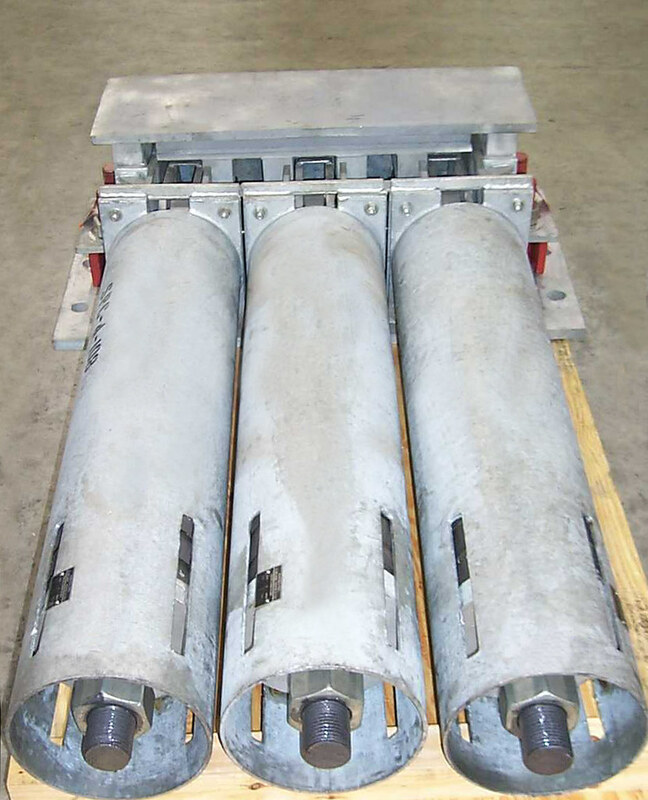 Due to space limitation, the Big Ton D Upthrust Constants and Big Ton T Upthrust Constants were designed for a total travel of 5″ and 4″ respectively. The Big Ton D Upthrust Constants were also designed for a load of 50,022 Ibs with a height of 26 inches. The Big Ton T Upthrust Constants with a height of 16.5″ were designed for 75,000 Ibs, and 67,464 Ibs respectively. Does your project require constant springs? Request pricing today!